State Representative Dan Swanson co-sponsored House Joint Resolution 124 to adopt a revenue estimate to begin the budgeting process for fiscal year 2019. House Joint Resolution 124 adopts a revenue estimate of $37.672 billion for fiscal year 2019, based on the estimate provided by the Commission on Government Forecasting and Accountability (COGFA). Appropriations for a fiscal year shall not exceed funds estimated by the General Assembly to be available during that year. “I feel strongly that we need to take our Constitutional Mandate seriously. 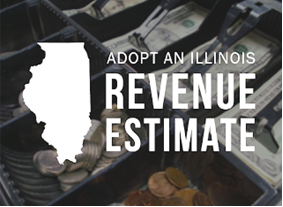 And adopt a revenue estimate as was done in 2011, the last time Speaker Madigan followed the Constitution on this issue,” Swanson continued.